Feel right at home in our recently renovated one, two, or three bedroom apartment homes in Kent, WA. Each of our apartment homes for rent feature a large balcony or patio, perfect for entertaining and showing off our park-like grounds and views of the lake. Many Waters Edge Apartments have walk-in closets, a fireplace, and full-size washer and dryer. Our apartments have been recently renovated with two-tone paint, brushed nickel hardware, and window coverings. Give Gordon Ramsey a run for his money in the designer kitchen with new stainless-steel appliances, upgraded lighting, and dark cherry cabinets. When searching for a new apartment home in south King County, location is paramount. 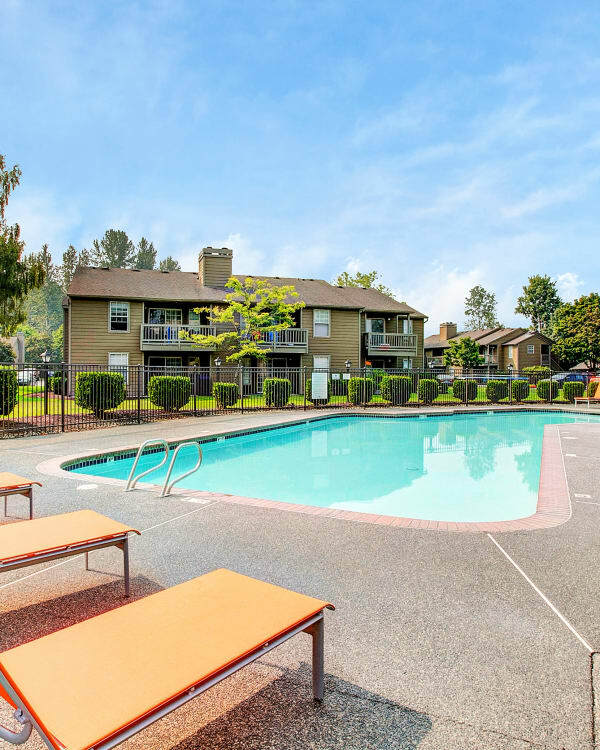 With easy access to buses and trains, as well as I-5 and SR 167, Waters Edge Apartments puts you within reach of major employers throughout the Puget Sound. After work, enjoy coming home to a lakeside community with generous amenities. Waters Edge Apartments is designed as an escape from busy urban life. Unwind from the day by working up a sweat in our modern fitness center or soaking up the sun in our outdoor pool. Our serene, park-like grounds feature lakeside gazebos, playground, professionally landscaped courtyards, and walking trails. For your convenience, we offer covered and guest parking, a prompt on-site maintenance team, and package acceptance. Our clubhouse includes a business center with computers and printers. While many of our apartments come with a full-size washer and dryer, there is also an on-site, coin-operated laundry facility for your use. Get to know our lakeside property in Kent, WA. Browse our distinctive floor plans and then schedule a tour today.